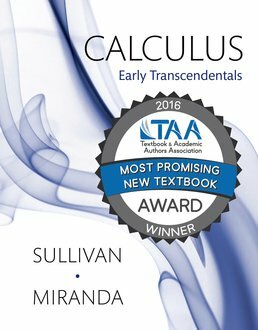 With a clear and precise presentation of mathematics, Calculus helps you learn the appropriate concepts while also emphasizing computational and problem-solving skills. An assortment of problems, including engaging challenges and applied exercises that model the physical sciences, life sciences, economics, and other disciplines are included throughout for relatable practice. 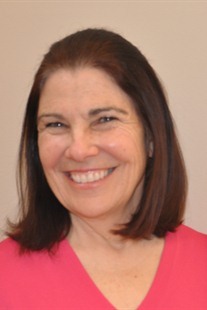 Kathleen Miranda, Ed.D from St. John's University, is an Emeritus Associate Professor of the State University of New York (SUNY) where she taught for 25 years. Kathleen is a recipient of the prestigious New York State Chancellor’s Award for Excellence in Teaching, and particularly enjoys teaching mathematics to underprepared and fearful students. In addition to her extensive classroom experience, Kathleen has worked an accuracy reviewer and solutions author on several mathematics textbooks, including Michael Sullivan’s Brief Calculus and Finite Mathematics. Kathleen’s goal is to help students unlock the complexities of calculus and appreciate its many applications. Kathleen has four children: Edward, a plastic surgeon in San Francisco, James, an emergency medicine physician in Philadelphia, Kathleen, a chemical engineer, working on vaccines, and Michael, a management consultant specializing in corporate strategy.